An electric mobility scooter can be one of those most liberating purchases for someone who suffers from mobility impairment issues. 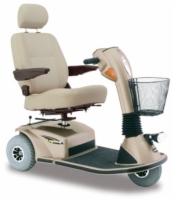 Electric Wheelchairs 101 proudly offers the largest selection of mobility scooters from only the best manufacturers in the market. Not only do our manufacturers offer the highest quality mobility scooters, but they offer the best value to you, the customer. We ship directly from the manufacturer, passing the savings on to you with free shipping, warranty on most, and zero taxes unlike most other retailers. You can't go wrong purchasing your scooter here. 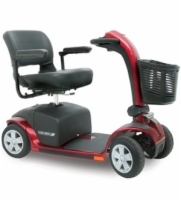 We recommend these scooter models for use on smooth paved surfaces both indoors and outdoors. Lightweight and portable, travel scooters are easy to stow in a vehicle or carry with you on vacation. 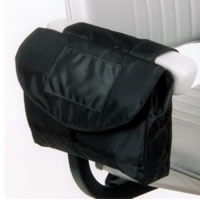 Also great for shopping malls and grocery stores! Features such as compact body design, scuff-free tires that won't damage hardwood floors, and the ability to turn around in a small space make these scooters perfect for use around the house. 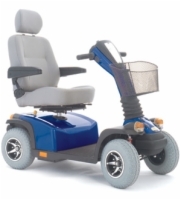 If you need to go to a store that's just down the block or visit a friend in an adjoining neighborhood, we recommend these 4 wheel scooter models for their ability to negotiate uneven sidewalks and rough parking lot surfaces. 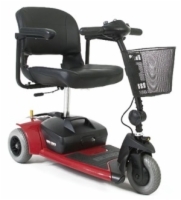 If you require a scooter with a user weight capacity greater than 350 pounds, you'll need to look at our heavy-duty options. 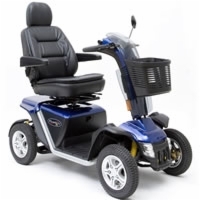 Both three- and four- wheeled models are available, with specially designed motors and electrical components designed to handle the extra work and still last long after you buy! Advanced suspension systems, high ground clearance, and large flat-free tires are the hallmark features of these scooters. If you like hunting, fishing, or other outdoor activities that require you to traverse rough terrain, start your search here! Extra batteries for long trips, canopies to protect you and your scooter from inclement weather, extra cargo space for your every day necessities - we've got it all! Visit this section and learn how you can personalize your electric scooter to your individual needs!